Yesterday we launched our Kickstarter campaign to take the digital world back to print. The Soulhub journal. There’s still something about flicking through pages, seeing images on matt paper, words in ink. We’ve found that people are more inspired when they know the story they’ve shared are etched in history, rather than simply fall into another digital platform, sometimes lost in the content ether. Out first edition will contain more incredible stories, some of which might inspire an action, others that will resonate with pain or joy. We’ve signed up Emma McIlroy, CEO of badass and wild feminist brand Wildfang, TV presenter Emma Crosby and James Garner as he shares his experiences of life in Norfolk, his business and creation of Godwick Hall and Great Barn. As word spreads, more are inspired to share their stories, and illustrators and photographers are keen to bring these words to life. 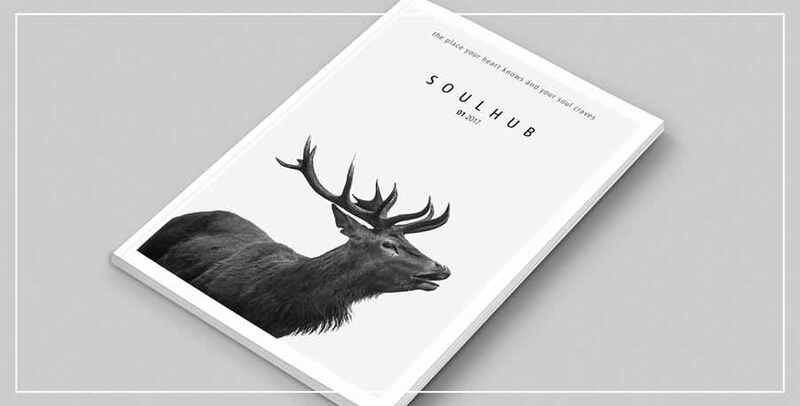 Jeremy Peters Photography lands the Richmond deer on the (draft) front cover, home of Soulhub. 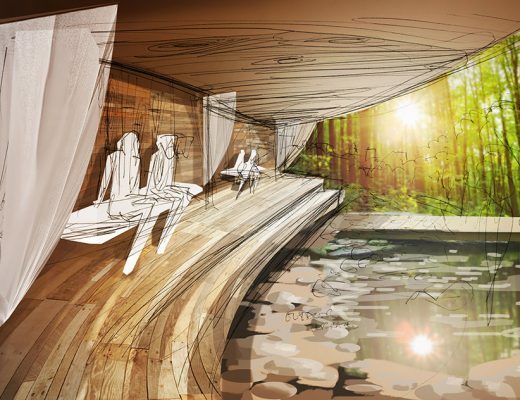 Illustrator Richie Wise is crafting the blood stream and vision for Soulhub, the physical manifestation. Soulhub was created as a response to a loss of where to go when life feels a little directionless and sometimes challenging. What to read, where to source information, who to trust, how to get therapy and where to escape to. The website launched last September and have developed it from personal stories to events and reviews. We are now ready to bring more colour to the brand and need support to turn Soulhub into a tactile, beautifully-crafted full of character and emotion printed magazine. We’re collating and curating over 60 pages of stories, on matt paper stock, in a handy sized journal that will look great on a desk, in a boutique B&B or wild feminist shop floor! To raise the funds to go straight to print, we’ve launched our Kickstarter campaign. So before Thursday 22nd December you can essentially preorder a copy by pledging £20 or more, get acknowledged in the first issue, or if you want to advertise your services, business or product then a full page ad for £500. We’ve limited these to just 4, to retain the essence of Soulhub. If you know anyone who might want to preorder a copy, simply pledge or indeed retail them in their coffee shops, retail outlets, hotel, yoga studio, then just let us know too. July 2017 – We’re live in print. We made it. Made it our way. Check out our online shop to order your copy of Edition 1 or pre-order Edition 2.